Home Business & Finance What’s The Most Expensive House In The World? What’s The Most Expensive House In The World? Most of us think of high-end houses in terms of millions of dollars, but the most expensive homes in the world are now measured in billions. How many billions, exactly? $21.5 billion—that’s the approximate value of the urban family home of India’s wealthiest man, according to an interview with his wife Nita Ambani. The high-profile businesswoman presides over the opulent Indian palace alongside her billionaire husband, Mukesh Ambani, who is the 9th richest man in the world. It is the family’s sole residence. The multibillion-dollar complex is located in an exclusive neighborhood beyond which sprawls one of the most income-divided cities on earth—Mumbai. India’s financial capital, Mumbai is home to 13 million people, nearly 60 percent of whom may be homeless. The City of Gold is easily the largest and most Westernized city in the South Asian nation. Its affluent south side, where the Ambanis live, is widely considered the most highly valued real estate in all of India. Mukesh Ambani’s astonishing residence is just a few miles from the coast of the Arabian Sea. ‘Antilia,’ as the structure was named, was designed by a international architectural firm based in Chicago. Its namesake is a mythical island in the Atlantic Ocean, a legend from the Age of Exploration. Antilia is no paragon of intimacy. It was purpose-built to entertain. With 27 stories, the residential skyscraper has plenty of guest space. Many of the stories are extra large, so it looks more like a 60-story building. It is fully navigable by a sophisticated network of elevators. In a creative twist, each floor of the building is constructed with different materials. The whole package can withstand an earthquake measuring 8.0 on the Richter scale—a nice touch in the tectonic region. Antilia’s visitors enjoy a live stage featuring musicians and late-night comedians. There is a crystalline ballroom, a rec center, movie house, and commercial-grade kitchen capable of serving hundreds of guests. Wine is only served during cocktail hours, and all meals are vegetarian, in keeping with the lifestyle of the owners. Swimming pools and a full-service spa are tucked away not far from four stories of hanging gardens. Six ‘garage’ floors house nearly 170 automobiles. It even has its own air traffic control—probably a good thing, given the chopper landing pads that cap the building. Antilia’s imposing outlines dominate South Mumbai’s skyline. The family’s actual living quarters are located on the top floor, “because we wanted the sunlight,” Nita explained. As is so often the case in real estate, the key to Antilia’s value is location, location, location. The mansion was built on Altamont Road, one of the most expensive residential streets in the world by property values. The Road is an urban haven for Bollywood stars, foreign consuls, and India’s political and economic elites. It attracts only the uppercrust of Mumbai. An oil and retail industrialist born into a wealthy merchant caste, Mukesh Ambani fits right into this posh niche. He has an estimated net worth of nearly $9 billion. 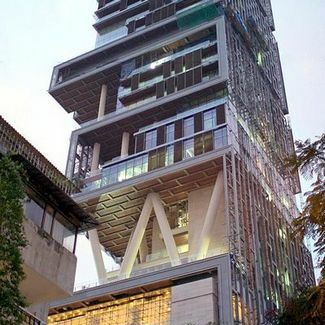 Antilia may be the most expensive house in the world, dollar for dollar, but what’s the world’s most expensive house per square foot? At an astonishing 400,000 square feet, Antilia cannot compete with ‘The Penthouse,’ as it is called, a mysterious suite in tony Central London atop a luxury high-rise built by the Prime Minister of Qatar. In 2010, the 6-bedroom, 2-story penthouse at One Hyde Park sold for $220 million to the Ukrainian billionaire, Rinat Akhmetov, making it the most expensive apartment in the world. Which Are the Most Expensive Jewels in the World? Why Is Gas So Expensive? What’s The Most Dangerous City In The World in 2014? Who Are the 10 Richest People In The World in 2018 What is the Fastest Car in the World? What Is the Biggest Car in the World? What’s The Most Poisonous Spider In The World? 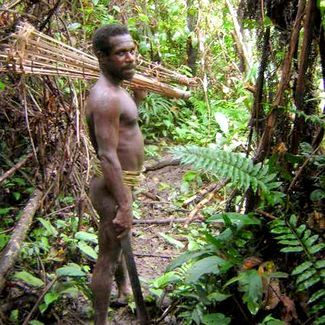 Are There Any Cultures That Still Practice Cannibalism? Can You Really Wreck an Engine by Putting Sugar in the Gas Tank?